Oral cancer is a cancer that grows and develops in the mouth. For example, on the lips, tongue, gums, mouth wall, as well as the palate. This cancer can spread directly to tissues around the mouth or through the lymph nodes. Among all cancer cases that arise, it is estimated there are only two percent of oral cancer. Therefore, this type of cancer, including cancers that rarely happens. 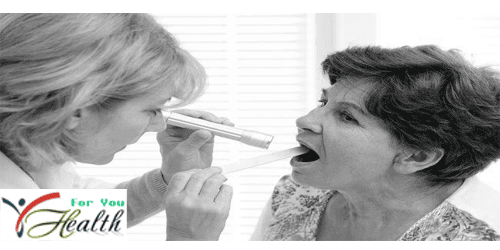 Most oral cancer attacks the elderly aged 50-75 years and is more common in men than women. But this cancer can also occur in young adults, mainly due to infection with HPV (human papillomavirus). Oral cancer most common is squamous cell carcinoma. It is estimated that approximately 90 percent of oral cancer patients suffering from this type. Other types of oral cancer is a malignant oral melanoma and adenocarcinoma. Oral Malignant melanoma is a cancer that develops from melanocytes cells. Whereas adenocarcinoma is a cancer that attacks the salivary glands. Canker sores that do not heal. Red or white patches in the mouth. A lump or thickening in the wall in the mouth. Pain in the mouth, especially the tongue. Difficult or pain when swallowing and chewing. Rocking teeth without obvious cause. Jaw that feels stiff or sore. Symptoms of oral cancer are also less likely to be identified because they are often similar to other disease indications lighter. Stay alert and immediately consult a doctor if any of these symptoms do not go away for more than two weeks, especially for heavy smokers or who frequently consume liquor. Using any kind of tobacco, such as cigarettes, cigars, and chewing tobacco. Infection with HPV (human papillomavirus). Oral hygiene is not maintained, for example, let cavities or gum infections. In the process of diagnosis, the doctor will ask you the symptoms you're experiencing, and check the condition of your mouth. If oral cancer is suspected, you will be advised to undergo a biopsy or tissue sampling to ascertain the presence or absence of cancer cells. Positive patients diagnosed with oral cancer will undergo further tests to detect the stage and level of sustained development of oral cancer. This procedure can be done through endoscopy, x-rays, MRI scans, CT scans, and PET scans. By knowing the stage and level of development of cancer in a patient, the doctor can determine which treatment measures will need to be done. So also with the patient's medical condition and the location and type of oral cancer suffered. Early-stage oral cancer has the highest possibility of full recovery. While middle-stage oral cancer may be cured. But the advanced stage oral cancer is generally not curable and treatment is done only to relieve symptoms and slow the spread of cancer. Step-by-step treatment for oral cancer include surgery, chemotherapy, and radiotherapy. These three steps are often combined in order to obtain maximum results. Early stage oral cancer can be treated with surgery using laser light. This procedure is called photodynamic therapy (PDT). But if the cancer has spread to other parts of the body, then the removal of the tumor with surrounding healthy tissue needs to be done. For example, the partial removal of tissue in the walls of the mouth, tongue, or jaw. The doctor will then perform reconstructive surgery to re-form a part or tissue is removed. Step radiotherapy is usually used after surgery to prevent the return of cancer cells. Radiation therapy can be done from outside or inside the body. In dealing with cancer that has spread widely in the body or high risk to grow back, your doctor may recommend chemotherapy. Drugs that are used in this process will destroy the DNA of cancer cells that can not proliferate. But these drugs also can lower the immune system so that the patient susceptible to infection. In addition to the benefits, radiotherapy and chemotherapy has the potential to cause side effects. Some of these include nausea, vomiting, fatigue, canker sores, and a mouth sore. Cetuximab is also sometimes used to treat advanced stage oral cancer. The use of this drug is usually combined with radiotherapy or chemotherapy. Cetuximab will attack the proteins on the surface of cancer cells to prevent the spread of cancer. But cetuximab is recommended if the patient can not undergo chemotherapy for specific medical reasons, such as being pregnant. Each step of treatment is certainly a risk of complications. So is the treatment of oral cancer. Difficulty swallowing and speech disorders is a major complication that can occur after you have surgery and radiotherapy. Difficulty swallowing, including serious complications because it can lead to malnutrition and aspiration pneumonia triggered as a result of food into the respiratory tract and lodged in the lungs. This complication will generally improve with healing and therapy. But there is the possibility of swallowing ability you will not recover fully. Similar to swallow, radiotherapy and surgery are also potentially cause disruptions in your speech. Therefore, speech therapy will be very useful to restore your speech. Quit smoking and do not use tobacco in any form. Apply a healthy diet and balanced, especially with the increasing consumption of vegetables and fruits. Maintain oral hygiene, such as brushing teeth diligently. Dental health checked regularly, at least once a year.